This would make a great gift for yourself or someone you know who may have attended Boot Camp in the 60s, 70s or 80s. A nice rare military collector’s item. You will not be disappointed. Most of the books photos are generic to any company that went through the training. 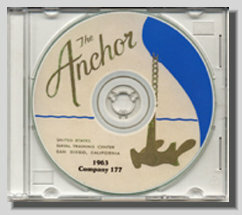 About 25% of the book is specific to Company 177 in 1963.